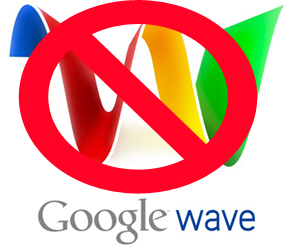 Google’s blog announced that Google Wave, the innovative communication platform released last year, will be discontinued. Google Wave has a lot of interesting features, but the interface is confusing and difficult to use. While many thought that Google Wave will reinvent email, Google’s service combined an online document editor with an instant messenger. Google Wave allows you to create “live” documents that are edited collaboratively in real-time, but it’s more than a conversational version of Google Docs. It’s based on an open protocol, so you can edit a wave using multiple services. It’s extensible, so you can build gadgets and robots that add new functionality. Google Wave had a lot of potential, but Google didn’t manage to build a compelling user experience and define some use cases for the application. Instead of building a general-purpose interface for Google Wave, Google could’ve used the platform to create multiple applications with clearly-defined goals: a new version of Google Chat, a new version of Google Docs, a brainstorming app etc. Now that Google Wave is discontinued, some of its feature will be added to other Google services (Gmail, Google Docs), but the platform will vanish. It’s clear that Google doesn’t want to invest in niche services, which is a big opportunity for startups. “We want to do things that matter to a large number of people at scale,” said Google’s CEO, Eric Schmidt, in an interview.